It seems that Skype will become soon more than a simple VoIP client. At Financial Analyst conference, eBay revealed its plans to better integrate Skype with PayPal. Using Skype client you’ll be able to send money to anyone on your contact list. 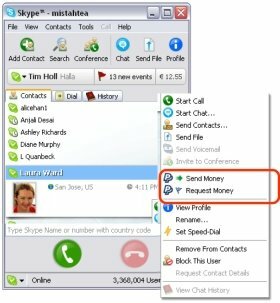 The other person will get the money in Skype client as well.